Northern California’s The Corner Laughers is a very unique band. Embraced by the Power Pop scene, The Corner Laughers is anything but your stereotypical melodic pop combo. 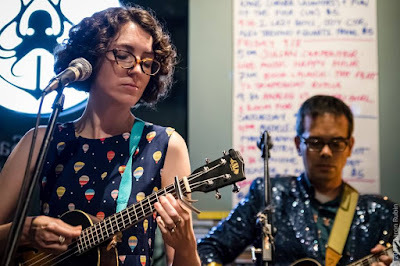 Fronted by a ukulele-strumming female vocalist by the name of Karla Kane, The Corner Laughers may appear to be an Americana/Y’Alternative band yet their songs are rooted in the glorious sounds of Britain in the ‘60s, ‘70s and ‘80s. From Pop to Rock to Folk, The Corner Laughers joyfully avoid categorization without even trying. Fans of jangly British guitar Pop will love them just as much as those that swoon to Folk favorites like Fairport Convention and The Kingston Trio. Mix in a huge slab of ‘80s-influenced Pop and you may have an inkling of what they sound like. The members of The Corner Laughers are an extremely creative bunch and their recorded output should be a part of every music fan’s collection. One of the most immediately striking elements of The Corner Laughers’ sound is Karla Kane’s voice. On the surface, Karla’s vocals are sweet and charming – like a comforting breeze that reminds you that Spring has sprung. However, once she’s in your head, she reveals herself to be strong and intelligent – more a woman of the world than an innocent wallflower. 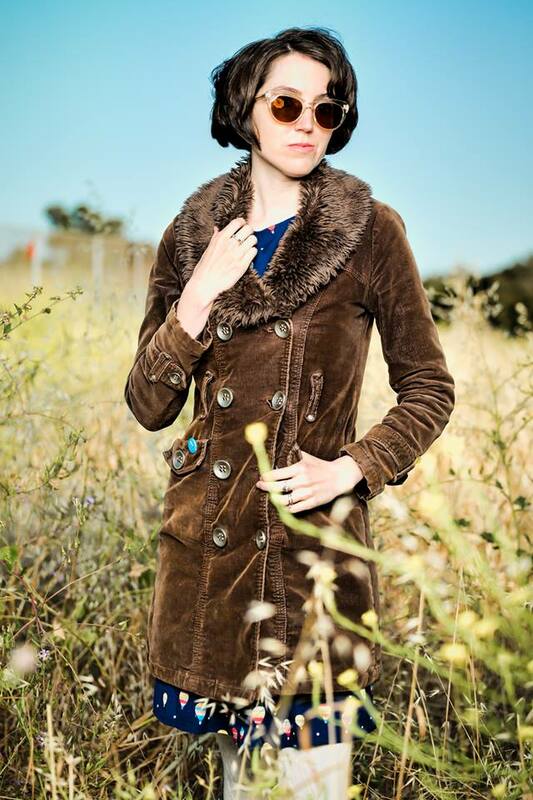 Charming yet headstrong, Karla’s voice reveals a woman with a passion for life, love and a warm and willing melody. All of these strengths are present and accounted for on the wonderful KING’S DAUGHTERS HOME FOR INCURABLES (KDHFI), her 2017 debut solo album. Sparse, gentle and wistfully beautiful, KDHFI doesn’t stray too far away from The Corner Laughers’ formula (the other three band members - Khoi Huynh, Charlie Crabtree and KC Bowman – contribute to the album) yet it stands on its own, a personal statement from an artist who still has a lot to say. This isn’t to say that KDHFI isn’t a Pop record because it most certainly is. However, it is more relaxed and laid back than the sunshine-fueled Corner Laughers album. Imagine enjoying a cup of hot tea while relaxing in the shade of a weeping willow tree as the heat of Summer meets the chill of Autumn. That pretty much describes KDHFI. While the thought of a ukulele-led album may scare non-believers into thinking that this will be a Don Ho-down hootenanny, have no fear. It is a lovely, wistful Pop album filled with warmth and honesty. An appearance from Martin Newell (Cleaners From Venus) only sweetens the deal! KARLA KANE: Hello! I’m Karla Kane: songwriter, singer and ukulele player. 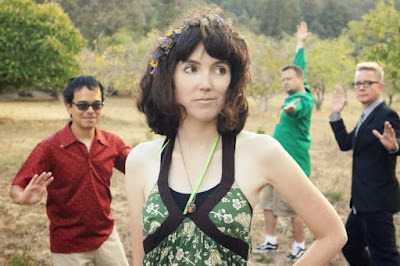 I am perhaps best known in the music world as being the front-person of the indie-pop band The Corner Laughers, with whom I’ve released four albums. I’ve now made a record under my own name for the first time. 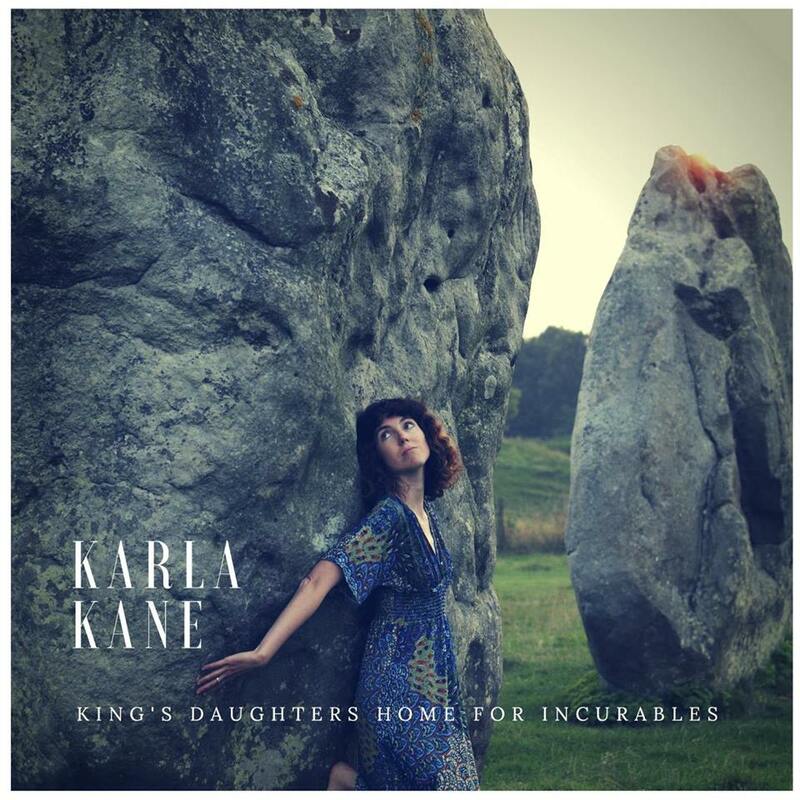 KARLA: KING’S DAUGHTERS HOME FOR INCURABLES is my debut solo album. It was produced and recorded at my home and has a more acoustic, folkier sound than my work with the band. It was partly inspired by the tours of England I’ve been doing over the past few years and has a number of international guest appearances. 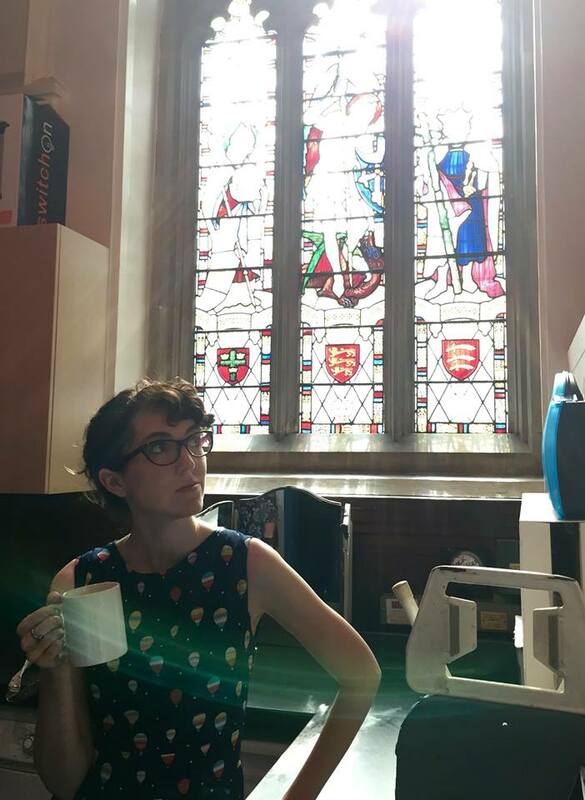 So, it’s both very homespun/DIY and transatlantic at the same time. SPAZ: Which song off of the album do you feel best defines the essence of the album is all about, musically? KARLA: The title track, to me, sort of sets the tone of the album, sonically and lyrically, as it has a very folky sound, and the lyrics cover a lot of ground, from folklore to politics to autobiography. KARLA: I generally write songs individually, without a larger goal in mind, but in choosing the songs to record and include in this project, I approached it as a whole piece of work. I knew that I wanted it to group together many of my England-inspired songs and to have the gentle, acoustic sound of our UK tours (hence remaking new versions of two of my favorite Corner Laughers songs). The second half of the album is also ordered vaguely to follow the cycle of the seasons, from May to Midsummer to autumn to winter, then back to spring, to end on a perhaps more optimistic note (unless it’s about the end of the world -- it’s open to interpretation!). KARLA: I had the idea that I wanted it to have a more acoustic, folkier, gentler sound than my work with The CL and Agony Aunts, and the idea to weave the English nature sounds by Richard Youell (birds, rain, trains, bees, etc.) right in and amongst the songs. KARLA: N/A for the solo album, as all the songs were written by me save for one (“The Weight of Acorns”) that was co-written with Khoi Huynh (my husband, and also a member of The Corner Laughers, and a very talented musician who plays on almost of the songs and co-produced the album). I will take this opportunity to mention the other wonderful folks who make guest appearances: One of my songwriting idols Martin Newell (Cleaners from Venus), Rebecca Hall and Ken Anderson (Hungrytown), Nottingham musician Rosie Abbott, Helen and Mark Luker (Fun of the Pier), Lorna Morris, Berlin-via-Sacramento’s Anton Barbeau and my other two Corner Laughers compadres, Charlie Crabtree and KC Bowman. Plus, the aforementioned astonishing English nature recordings of Richard Youell. KARLA: Part of the motivation behind making this album was to make something relatively quickly and simply and to get it out into the world without being mired in endless debate and perfectionistic tinkering, so yes, I am happy with the release of the album at the moment. KARLA: Although it’s a more acoustic sound than my albums with The Corner Laughers, it’s still my songwriting so there are obvious similarities. But on this album, there is definitely some more influence from some of my favorite British folk artists, such as Lady Maisery, Shirley Collins and O’Hooley and Tidow. I’m always influenced by Martin Newell. And Broadway showtunes. 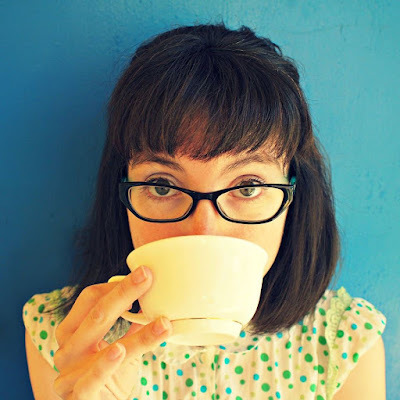 KARLA: England, the environment/natural world, motherhood, politics, literature...life! KARLA: The creation of the song “Under the Oak in May” was one of those moments, kind of exemplifying the whole process and project. I first got the idea for the song from reading the book “Uprooted: On the Trail of the Green Man” by Nina Lyon. I wrote the song actually lying under my oak tree, thinking about how quickly time seems to pass, and recorded it in my home. Then, for the first time, I added in Richard’s beautiful recording of a woodland dawn chorus and the nature sounds felt so magical and present. SPAZ: What is next for Karla and the band? KARLA: In celebration of the album’s release, and its ties to both my homeland of California and my beloved England, I’ve done a number of shows in California and then in October, will go tour the UK and Berlin, mostly in conjunction with Fun of the Pier of Nottingham, UK, who also have a new album coming out around the same time. Stay tuned to KarlaKane.com or Facebook.com/karlakaneofficial for all the tour dates. KARLA: Fun of the Pier’s 14:42, The American Professionals’ SYMPATHETIC OVERDRIVE, Deerful’s PEACH, The Bye Bye Blackbirds’ TAKE OUT THE POISON, Plastic Jeezus’ CHOOSE YOUR OWN MISADVENTURE, the soundtrack to MOANA.